How to shape the direction of creative thinking and get the desired result for a company? 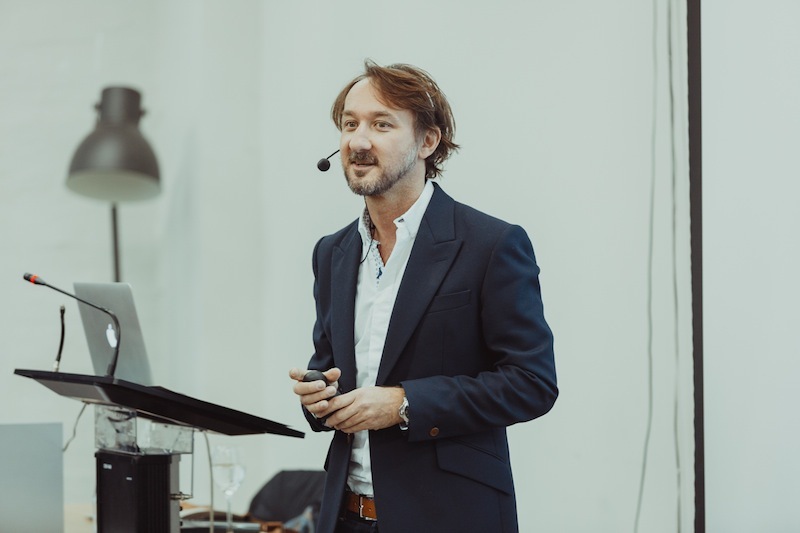 The right brief can do so, Adrian Goldthorpe, Managing Director of the London office of Lothar Böhm Associates, argues. In this interview to Popsop, Adrian tells about the difference between the Basic and Magic briefs. 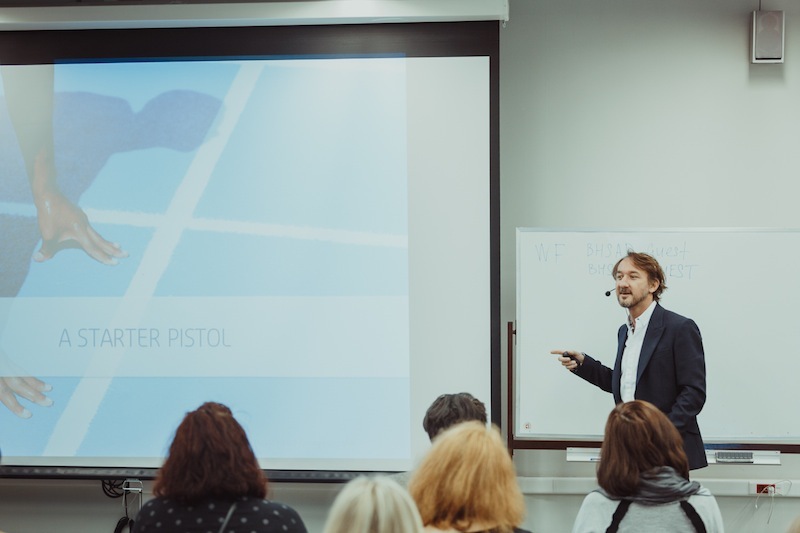 —In your presentation and lecture at the Popsop training event in April in Moscow, you mentioned several things that clients should avoid (“asking for the impossible”, “treating brief as a starter pistol” for the process, “drip feeding” the agency on the desired outlook). Which of them really hurt the process (for instance, make things twice more costly or two times longer)? —The starter pistol mentality leads to the fact that future information is then drip feed into the process. This results in numerous rounds of rework as the issues and objectives become a little clearer each time. Or a little more complicated each time. The process becomes more complex, the frustrations increase. And the agency usually needs to increase the costs. —You outline five questions that a creative brief should answer (“What the creatives should do?”, “What we want to achieve?”, “Who is the audience?”, “What is the brand proposition and support to it?”, “What is the tone of voice?”). Are just these 5Ws enough for a perfect brief? —The 5W’s should really be the key foundation of the brief. The material around is there to support it, not supplement it. What often happens is we include lots of background material to ‘fill’ a brief because we are not sharp enough on the key points above. Sharpen these, and you shouldn’t need anything else. —Again, in your April’s presentation you told the audience the story of London 2012 Olympics logo and how people started to criticize the image not knowing anything about what was in the creative brief. So what actually was in the brief? What do you personally think of the result? —The initial logo mark was developed by Wolff Olins but the system itself was brought to life by FutureBrand— and I was with FutureBrand at that time. The problem with the logo in isolation is that people judged it from a purely subjective point of view. And the colours chosen to originally demonstrate the multi-colour identity were the most vibrant and brave. The whole identity system put the logo into context and made it more sympathetic to both sport and the eclecticism of London. The identity was briefed to be ‘like never before’ — i.e. lacking a simple cliched view of a city icon or landmark, or traditional country imagery. It was also briefed to attract the youth of the city. And to allow people to place their own images, colours, interpretations into it — reflecting how people of London make London what it is. Against all of this the identity worked. Against the initial subjectivity of like it or not, it didn’t. —You advocate that “creative people are natural-born problem solvers” and that what they actually want is a great question to answer, a puzzle to solve. Can you give an example of such question or puzzle that led to a surprising (for the customer) but a damn good answer? —Someone like James Dyson (who invented the Dyson cleaner) is both an amazingly smart and creative person. The problem he faced or addressed was that vacuum cleaner bags that became clogged and reduced the power. He decided that rather than thinner gauges or multiple filters he would create something totally different —the dual cyclone cleaner. No bag, no blockages. This is an engineering creativity but the same is true in most creative thinking fields. Creative people are curious. They do not accept the status quo. They want to know how things could work. Not just how they work now. —You argue that marketing managers should try to narrow down their target audience. But where should we stop in order not to over-narrow? —The place to stop when you think you are too narrow is normally when you are trying to market something just to yourself. And this happens. But if there are many people like you, or aspiring to be like you, then that works. If the audience connects to a universal human truth, or aspiration of such then the audience is broad enough. Fundamentally, the question to ask is how to mass market is your brand. And how big you want it to be. —When defining the target audience, it sometimes may be important to specify in the brief the audience that you DON’T want. Does this approach work at all? When looking at the audience we often look at what the audience is and is not. Ideally it is best to see on either side. So, not too edgy and too safe, just right in the middle. For example, the Apple audience isn’t the guy who works for ‘the man’. The audience isn’t someone who follows rules and does what it is told. The audience isn’t the tech geek. Even though some of these may be the purchaser — the commercial audience — they are not the target bullseye. —Why do you criticize the practice of making brief based on a template? Isn’t it, in fact, convenient? —I don’t critiсize the idea of a template. We have a template. A very good one. It reminds people of the questions to ask themselves. However, I attack the mindless filling in of boxes to show that the brief has been ‘written’. A template is a great thing to use to remind you of key questions. But make it brief, focussed and ideally on one page. And even better if there is a visual focus… like the proposition! —You were talking quite ironically about McKinsey’s rule of making presentations using MECE principle (Mutually Exclusive and Cohesively Exhaustive) and how they constantly fail to make their own presentations MECE. What rule or principle do you really follow when you need to sharpen your ideas and make things short and clear? Your brief should tell a story. There should be a narrative through it. The characters should be clear — i.e. the brand and the consumer. The journey they go on should be interesting — i.e. where we want to be going. The look and feel of the story – i.e. the tone of voice. And of course the message you want the reader to take away — i.e. the proposition. Think of it as a story and it should work. A story that engages, excites and inspires. It doesn’t need to end with “they all lived happily ever after”, as like all good stories. The end of the book is the start of your thinking about it. —You state that a good idea should be disruptive. So should we look not just for great (proven, based on right customer insights etc.) but “great and disruptive” ideas? —All marketing, creative, ideas have to be both ‘relevant’ and ‘unique’. Relevancy connects to the consumer and the brand. Uniqueness is something the brand can own, and the consumer can recognise. It is disruptive because it stands out. But it is not meaningless in its disruption. The connection to consumer needs, wants or believes makes this right for them. If an idea isn’t disruptive, it is likely that no one will care when they see it. It becomes part of the norm. Therefore the functional choice comes in, not the more emotional. —In your presentation, you use a metaphore “Don’t try to be the pilot” addressing it to those brand managers who often ask to “change this to green” or “try another font here.” Did you coin that metaphore? What was the story behind it? —“Don’t try to be the pilot” is something I coined, so I am glad it works. I view the whole of the marketing and creative community as being like an airline. The agency is the pilot, employed to fly to brighter, better places. The communications managers, the navigators, helping to shape the direction but also keep in touch with the ground. The brand managers are the air traffic control — they prepare the ground, give the flight log, tell you the background and set where they want to be heading. They have to help the pilot take off. But they stay on the ground. The Consumer Market Intelligence teams are the Flight Crew — they are primarily here for our safety. Why? because CMI are the voice of the consumer, the ones who stop us doing crazy rolls and flips, just because we want to — and make sure we actually focus on the passenger. And the passenger are our consumers, they have to enjoy the journey. Feel secure but excited. Posted in Interview, News and tagged Adrian Goldthorpe, interview, London, Lothar Bohm Associates. Bookmark the permalink.